Going to a fitness conference not only elevates your education and keeps you up to date on exciting trends, it’s a lot of fun! And being able to collect multiple CEUs all in one place is convenient, cost-effective and time-efficient. However, attending a major fitness conference can quickly become overwhelming if you’re not prepared. Whether you’re taking part in a big conference for the first time or looking for new hacks to keep you at the top of your game, here’s what you need to know for getting the most out of your next education event. Before you even get to the conference, you’ll have to select online which sessions you want to attend. Register early to ensure session availability. In theory, you might think it’s best to attend as many movement workshops as possible. In practice, this approach can be exhausting. When you’re physically fatigued from working out all day, you’re more likely to forget all that you saw and learned. On the flip side, sitting in too many back-to-back lectures could make you feel restless or drowsy. With that in mind, consider how you can balance exercise and downtime during the conference. To ensure your schedule has enough variety to keep you energized, opt for some workouts and some lectures each day, or a mix of light and intense movement sessions. Conferences are the perfect time to experience new formats and education, so avoid signing up for just the most obvious choices. Branch out! Whether you’re travelling to an event or attending one close to home, be sure to pack your day bag with a few essentials. You’ll want a reusable water bottle and plenty of healthy snacks. Lineups to buy food at conference sites can be long, and the options are sometimes unappealing, so it’s good to have healthy foods on hand to tide you over until lunch/dinner or as fuel when hurrying from one session room to another. If you’re traveling from out of town, hit a grocery store the day you arrive to stock up on food you can store in your hotel room. Other must-pack items include a phone charger, a change of clothes if you’ll be doing multiple workouts in one day and anything you’d need to keep warm in an air-conditioned convention hall and lecture rooms: jacket, sweatshirt, warm-up pants, etc. Some conferences take place primarily or partially outdoors or even on a ship, such as the annual Zumba Cruise. In that case, pack sunscreen and a sunhat and keep your water bottle close by to stay hydrated. For back in your hotel or cruise-ship room, you might also appreciate having exercise recovery tools on hand, such as a foam roller. One of the best ways to retain information is to take notes, so come prepared with a pen/paper, laptop or iPad. Many conferences provide session handouts that you can either print up on your own or save as digital files. Performing the exercises in movement sessions is a great way to test-drive what’ll work in your classes or with clients. Since it’s easy to forget exercises and sequences once you leave the session, plan to either take intermittent notes throughout a workshop or jot down ideas immediately afterward when they’re still fresh in your mind. Although most conferences don’t allow you to take video during sessions, you could ask a friend or fellow attendee after the session to film you doing a few exercises or routines you just learned. Having these videos stored on your phone will remind you of exercises to try in your classes and with clients back at home. Depending on the size of the conference, you might find that cruising the Expo Hall takes considerable time and energy. It’s helpful to do a preliminary lap of the tradeshow just to see what’s there. Then take a second and third tour of the space, stopping at the booths that interest you. Schedule time to visit the Expo Hall multiple times during the conference to ensure you didn’t miss anything interesting during previous rounds. 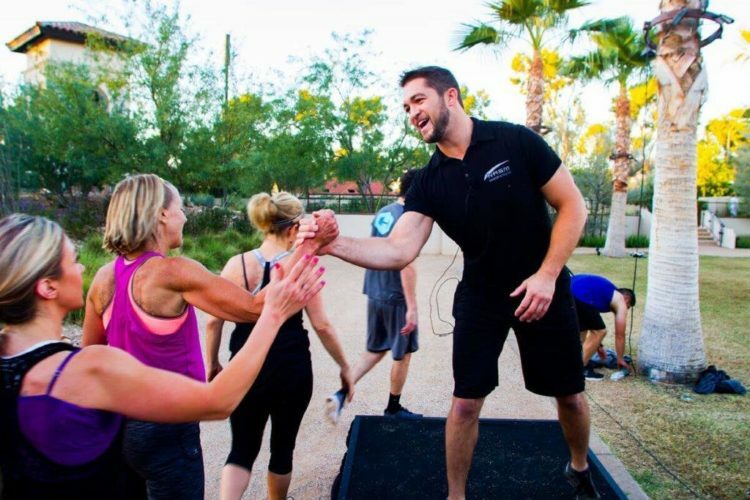 The more prepared you are for all there is to see and do at a fitness conference, the more you can soak in the experience and leave with a slew of ideas—and enjoyable memories!—to advance your fitness career.